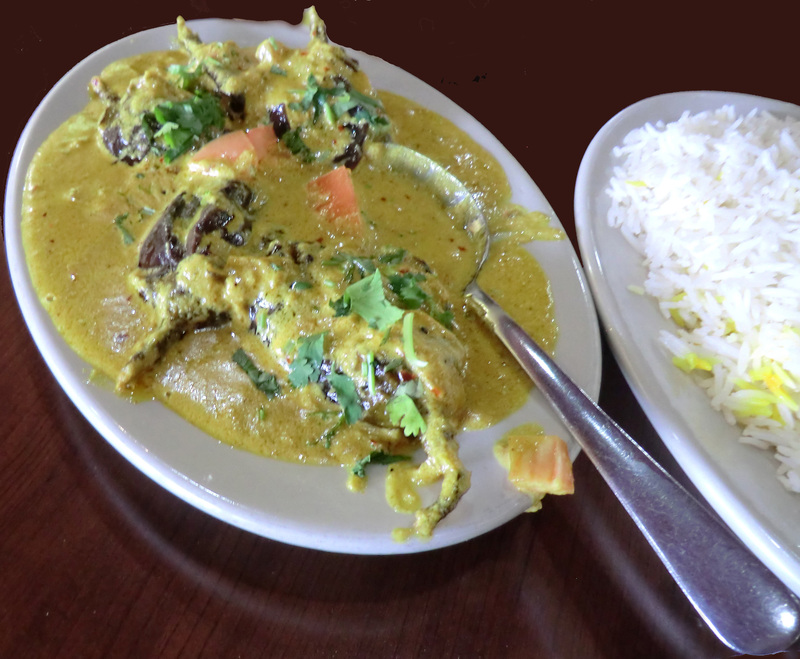 Once upon a time, there were two corporately-linked Indian restaurants in the southeast quadrant of University Boulevard and New Hampshire Avenue in Takoma Park. Their names: Tiffin and the vegetarian Udupi Palace. Then the big bad (?) Walgreens decided to purchase the strip-mall where Udupi was located, and shortly thereafter the space was replaced by, no surprise, a Walgreens drugstore. The restaurant owners fought back by declaring that both restaurants were now located in the Tiffin space. So the two are one and, I think, doing nicely at 1341 University Boulevard, telephone 301 434-9200. There are quite a few good restaurants in the Takoma Park – Langley Park – College Park area near both UMCP and UMUC, and that’s my excuse for not eating regularly at Tiffin. But a few weeks ago, I returned and am glad that I did. My companion and I ordered Chicken Tikka (generous chunks with interesting seasoning) and Baigan Bharta (roasted eggplant pieces in a sauce of herbs and spices). The chicken was good, the eggplant dish marvelous. A week later, I had it again – and took a photo. A small warning: the prices at Tiffin have risen; the two main dishes are $16 and $14. I will return soon! NB: Do you have a favorite restaurant? If so, let us know what it is and why you like it. This entry was posted in Features and tagged dining, food. Bookmark the permalink.